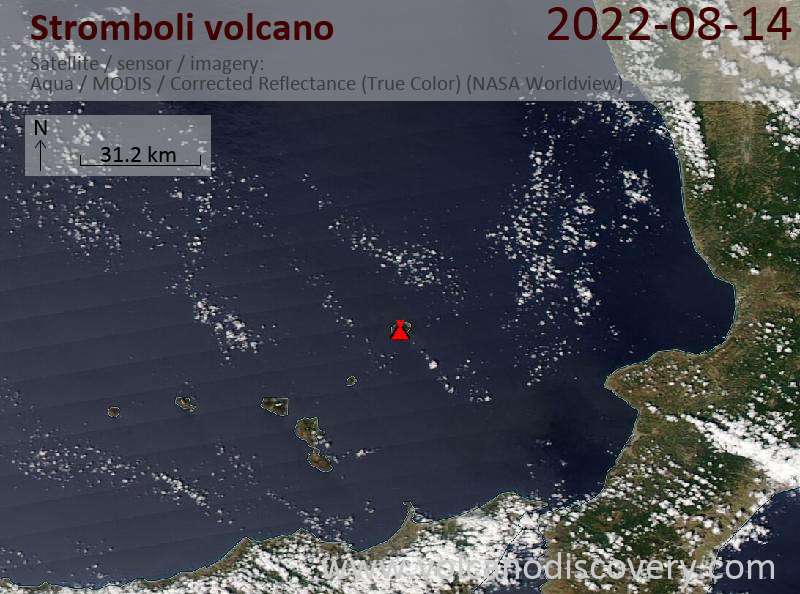 Explosions mainly from the eastern vent (towards Stromboli village) have been observed at intervals of approx. 10 minutes, ejecting dense jets of incandescent lava to up to estimated 150 m height. Apparently, the magma column inside the conduits has again risen and both the eastern, central and western vent are active and produce intermittent strombolian activity of various intensity. 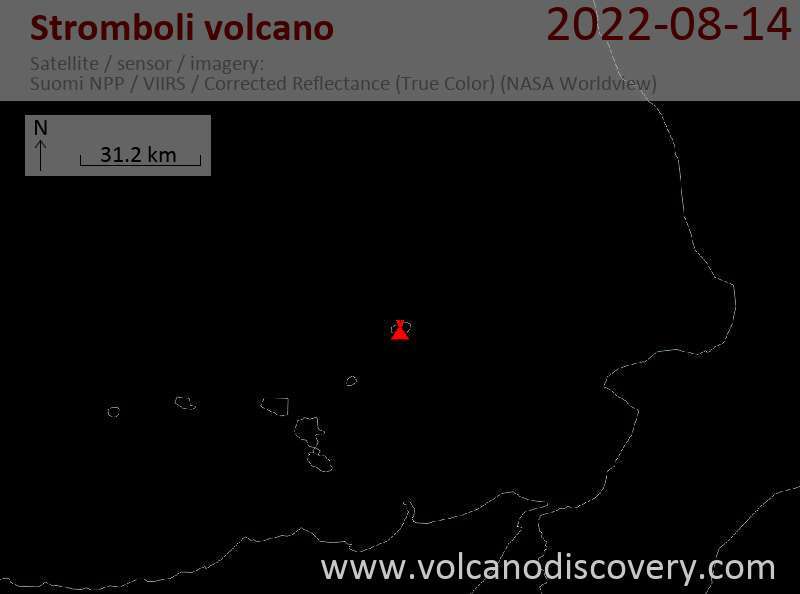 According to INGV's monitoring data, activity of the volcano, internal (seismic) and external (explosions) is at low to moderate levels. The activity at the summit craters has been (comparably very) low recently. However, small strombolian explosions continue to occur at irregular rates of 30-60 minutes intervals, mainly from western vent.